Best ANZAC Biscuits Recipe Ever! The image above shows the batch of ANZAC biscuits that I baked (with some help from the family!) just an hour ago. They're delicious! 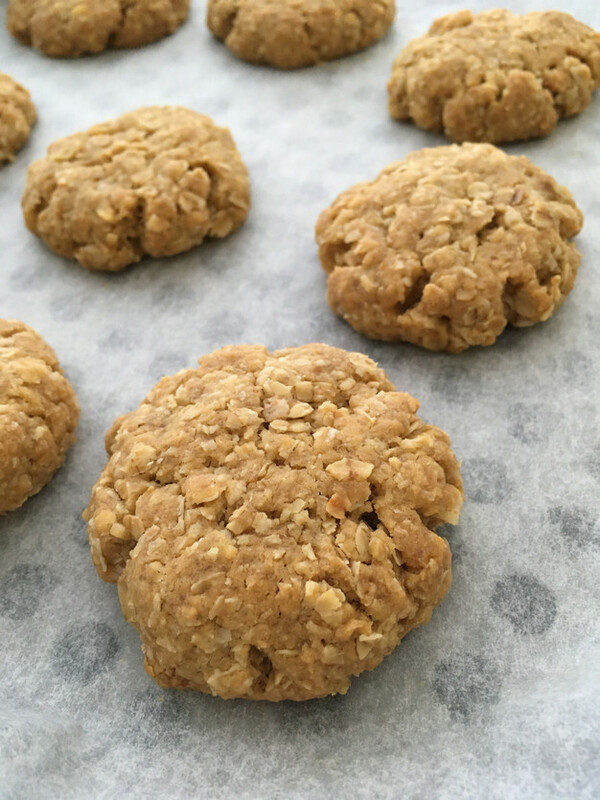 I personally love the soft and chewy variety of ANZAC bikkies, and the recipe that I am sharing with you today is my absolute favourite. 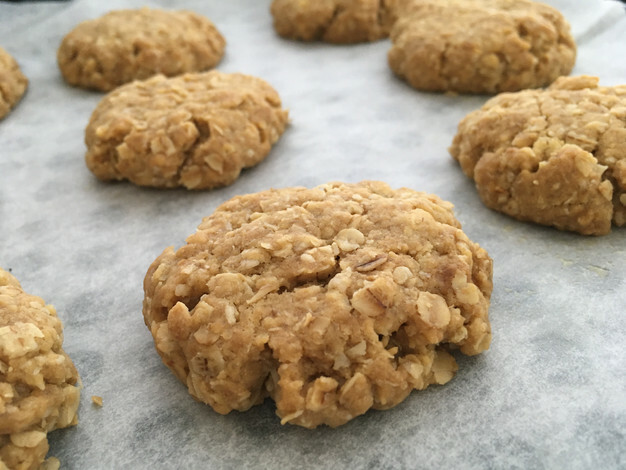 If you prefer your ANZAC biscuits to be chewy like I do, then I am sure that you will love this recipe too. But before we begin baking, I would love to share some history about these sweet treats and their origin. So, what is ANZAC Day all about, and where did the biscuits come from? ANZAC Day is a day of remembrance that we in Australia and New Zealand observe each year, on the 25th of April. ANZAC stands for the Australian and New Zealand Army Corps. April 25th is the anniversary of the ANZAC soldiers landing at Gallipoli, in Turkey. Both countries suffered a terrible loss of life in the battle at ANZAC Cove. To begin with, ANZAC Day honoured only the ANZAC soldiers. In modern times, Aussies and Kiwis commemorate the day for all of our serving personnel; both past and present. We hold commemorative services, and marches are held in many cities and towns. These involve not only the Defence Forces, but many other organisations such as clubs, schools and other locals within our communities. So where do ANZAC biscuits fit in? Well, their exact origin is often disputed. A popular theory is that the wives of the ANZAC soldiers sent them to their husbands whilst in battle, because the biscuit ingredients kept well. But another more viable theory is that the biscuits were made at home for fundraising efforts to support the war, and this is how they were titled ANZAC biscuits! Place the flour, oats, sugar and coconut in a large bowl and stir to combine. In a small saucepan, stir the golden syrup/treacle and butter over a low heat until the butter has melted completely. Remove from heat. Mix the bicarb soda with water, then stir into the golden syrup mixture. It will bubble slightly - mix to combine. Roll tablespoonfuls of the mixture into balls and place on baking trays, pressing down to flatten only slightly. Bake for 12 minutes of until lightly golden brown, but still soft. Makes approximately 20 biscuits. Biscuits will keep well in an airtight container for several days and freeze well. You may also like our FREE Australian Flag Printable, which you can download here.